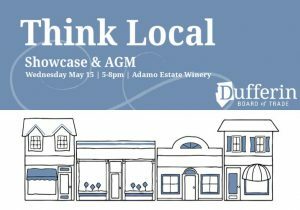 The 3rd Annual Think Local Showcase will be on May 15th, 2019. If you attended the showcase in 2017 or 2018, you will likely remember enjoying a delicious, gourmet meal of local food, served by 6-10 of the best local culinary businesses, and networking with 100 of the top local business and political leaders. This year’s event will provide all of that – plus tours of the local winery, Adamo Estates, with a tasting of their local wine!